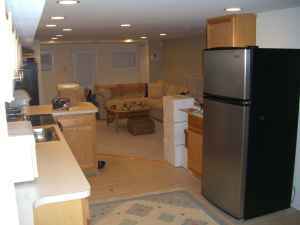 “My landlord is really awesome, responsive and has made the rent all inclusive for the next tenants! The place is really turn-key. Utilities included are: ADT security system, Dish network (HUGE HD package with everything, all the premium channels), phone, internet, water/sewer, and electric. And a really nice full size washer and dryer. And the next door neighbors have been a Garden of the Day before”. What do you guys think – does $2100 sound reasonable?